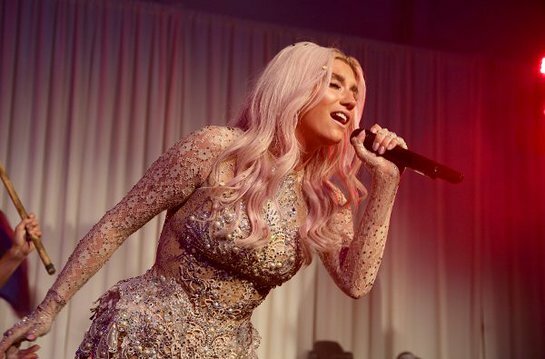 A host of stars attended Pathway To The Cure for Breast Cancer, a fundraiser benefiting Susan G. Komen for the Cure in Santa Monica last week. 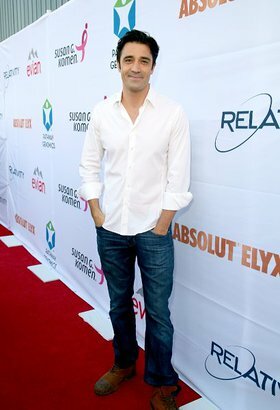 Among the stars who attended the event – which featured a performance by Ke$ha – were Adrian Grenier (Entrourage), Alessandra Ambrosio (Supermodel), Amber Valetta (Revenge), Angie Everhart (The Wedding Pact), Busy Phillips (Cougar Town), Cisely Saldana (Rosemary’s Baby), Dawn Olivieri (House of Lies), Emmanuelle Chriqui (Entrourage), Estella Warren (Planet of the Apes), Gilles Marini (Switched at Birth), Jaimie Alexander (Thor), Jonny Weston (Chasing Mavericks), Jordana Brewster (Fast & Furious), Josh Henderson (Dallas), Kellan Lutz (Twilight), Mackenzie Rossman (7th Heaven), Martin Starr (Silicon Valley), Michelle Trachtenberg (Gossip Girl), Natalie Martinez (CSI NY), Rebecca Mader (Once Upon a Time), Rosanna Arquette (Pulp Fiction), Samantha Mumba (musician), Shannen Doherty (90210), Sophia Bush (Chicago PD), Susie Castillo (House of Payne) and many more. Breast cancer knows no boundaries – be it age, gender, socio-economic status or geographic location. In the U.S. alone, an estimated 40,000 women and more than 400 men will die from breast cancer each year. With more than $2.5 billion invested in the fight against breast cancer, Komen is leading the global movement against this terrible disease, working in communities across the globe to save lives and end breast cancer forever. “We are so pleased to have the commitment of Pathway Genomics and Relativity Media who are bringing awareness to the needs of breast cancer patients and the important work Komen is doing to address those needs in southern California and around the world,” said Komen President and CEO Judith Salerno, M.D., M.S." PATHWAY GENOMICS is on a mission to make affordable hereditary breast cancer testing available to all regardless of income, race or geographic location. To enhance the accessibility of this important genetic test, Pathway Genomics has developed the BRCA One for OneTM program – for every qualified BRCAtrue test ordered, one test is donated to a person in need through patient advocacy organizations, up to $10 million of free testing. ONE FOR ONE means that for each BRCA TRUE TEST purchased, Pathway Genomics will give one away making hereditary breast cancer testing is available to all. To date, no other affordable breast cancer genetic testing option exists. Pathway Genomics is Pathway for the People. For more info visit pathway.com/brcatrue.